This is a guide to patching Snes rom images. Since I use Windows, this guide is for Windows. There are two methods in which you can patch a rom. First, there is soft patching which is the recommended method, as it does not permanently change your rom, and secondly there is hard patching, which is not as good unless you want to permanently change your rom. The first few steps pertain to both methods, so I will show them first. 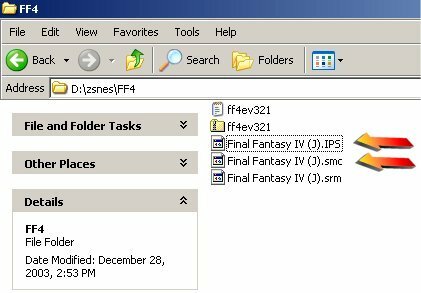 I will use J2E Translations' Final Fantasy IV translation patch as an example. Your next step is to ensure that your rom is the proper one to patch. Indicators of a good rom are that it has a good checksum. 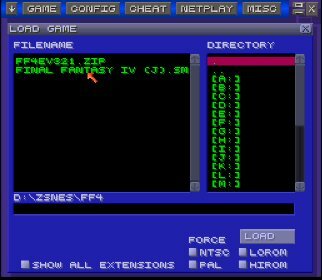 The easiest way to do this is to open the rom in either zsnes or snes9x and see what appears at the start. The important information here is the CHSUM (checksum). Since the checksum is OK, then the rom can be patched. If it is not ok, then the rom is corrupt and you should search for a non-corrupt one before continuing. This is the easiest method of patching, and the best as it does not permanently change the rom. 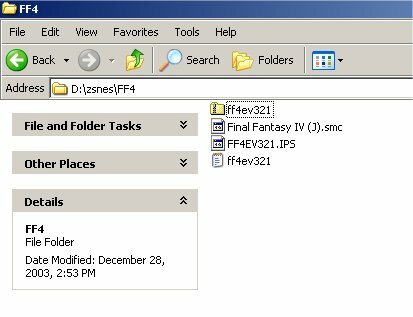 It works in Zsnes and Snes9x. 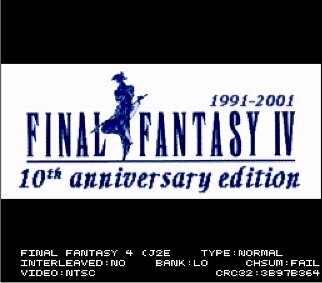 After this, open up the rom in Zsnes or Snes9x, and the game is patched! Note that quite often after patching the Checksum will be bad. This is normal. Enjoy the game! For the more advanced Hard Patching option, click here.